>For those of you who might be new to issues concerning Saipan, here is an overview: The previous U.S. administration put into motion certain regulations which will affect the immigration, tourism, and hence the economy of the Commonwealth of the Northern Mariana Islands. In particular, much attention is being focused on one set of regulations titled Establishing U.S. Ports of Entry in the Commonwealth of the Northern Mariana Islands (CNMI) and Implementing the Guam-CNMI Visa Waiver Program. Of particular concern to those who understand the significance of tourism as well as the presence of guest workers to Saipan’s economic survival is the elimination of Chinese and Russian tourists’ easy access to vacationing on Saipan. Visas for travelers from these and other countries are no longer “waived.” They will now have to go through a (some say costly, lengthy, and thus prohibitive) visa application process in order to travel to Saipan. Also affected by the federalization of Saipan’s immigration and labor situation are contract workers and their ability to enter or return to Saipan, “immediate relatives” of local residents and American citizens who will now be required to meet new criteria in order to stay on the island, and students and those who might come to Saipan for education and language learning opportunities. Overall, much attention, focus, fear and concern is being aimed at this significant piece of legislation, its June 1, 2009, implementation, its expected effects, and what can be done about it all. People have started to respond. Letters are being written to the Department of Homeland Security, Office of International Trade, whitehouse.gov, regulations.gov and dhs.gov (see footnote). Blogs are posting these letters for others to see (unheardnomore.blogspot.com, saipanchallenges.blogspot.com). Officials are petitioning the powers in Washington to revisit and revise. So, what else can we do? I have an idea. Let’s start a Saipan fan page on Facebook! So, how exactly can a Facebook fan page save Saipan you ask? There are four powerful concepts that, if harnessed correctly, just might work. According to Mike Lux, who just published a book titled The Progressive Revolution: How the Best in America Came to Be, there are three things you need to have in place to make the kind of historic changes that have reshaped our country (i.e. the Civil War, or the progressive movement, or the New Deal or the Great Society, or the Civil Rights movement). One, you need a crisis. Two, you need a leader who is open to change, And three, you need a movement. Let’s see if we here on Saipan have what’s needed to make change, according to Mr. Lux. A crisis? The imminent demise of Saipan’s economy. A leader who is open to change? President Obama. A movement? Now, that’s where Facebook comes in. To understand the power of Facebook, we need to explore the next two powerful concepts. The best way to sell a lot of something is to have a good distribution system in place. When country singer Garth Brooks released his CD titled Collection in 1994, he sold three million copies (that’s triple platinum) in three weeks! How did his record label do it? Their secret was to make the CD available only in McDonald’s restaurants. The marketers at EMI recognized that McDonald’s 9,500 restaurants strategically placed around the country was a distribution channel like no other. Social networks like Facebook, Twitter, MySpace, et. 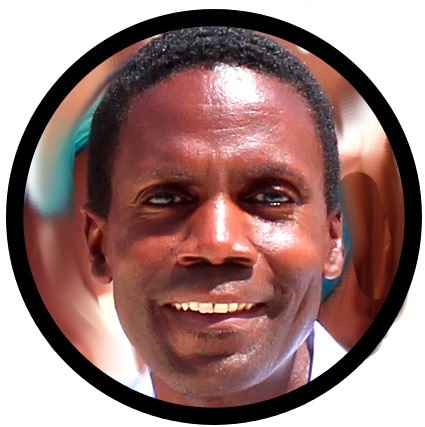 al., are a distribution channel of people who are always communicating with each other. The basic premise of a human distribution channel is that when a lot of people do just a little bit, a lot can get done. What we want done is for people to spread the word about “saving Saipan.” That act of communicating brings to our discussion, the next powerful concept. Network marketing companies like Amway, ACN, Marykay have proven that word-of-mouth marketing is powerful. It’s also called relationship marketing. People will listen to their friends and family—people with whom they already have trusting relationships—for advice, information and even what to purchase. The power of Facebook lies in its word-of-mouth marketing with the trust factor built in to get ideas across to the greatest numbers of people, and move them to action in ways that no corporate advertising campaign can. People trust and listen to their friends. 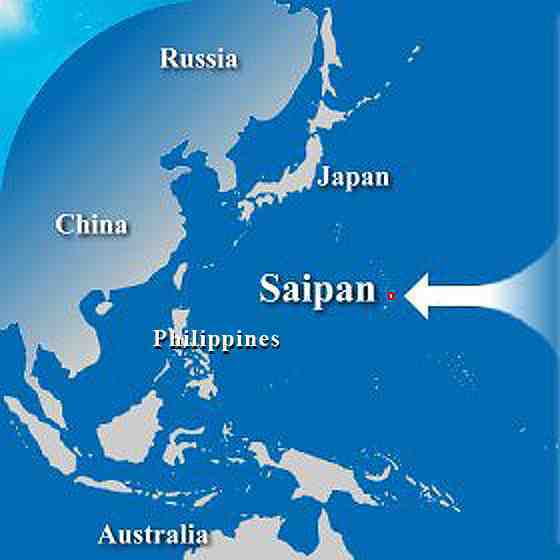 So, can “Save Saipan!” create a movement? Facebook—and other similar sites—are movements of sorts. Everyone who is on Facebook and who chooses to become a fan of “The Island and Tourist Destination of Saipan, CNMI” as part of the “Save Saipan!” Campaign is part of a movement, has their own social network of friends and family—a built-in distribution channel, and can use word-of-mouth (or, more aptly, word-of-mouse!) to spread the word about Saipan and our desire to “save” it! Movements are about numbers of people thinking specific thoughts, taking specific actions, acting in unison toward specific goals. And speaking of goals, we intend to harness the fourth and final Powerful Concept to help us achieve ours. 1. To increase worldwide awareness of what’s happening here by creating a media-friendly, human interest, representation of the issue. (Who doesn’t love Facebook? Who wouldn’t be moved by the story of the forced separation of families who’ve spent their lives here on Saipan? Who can ignore a million fans for a tiny unknown island in the Pacific?) This results in “pressure” from America’s global “peers” to address the issue. 2. And this is very important. Another secret outcome of this campaign is simply to increase the world’s awareness of the fact that we exist! As those of us who live here know, even most of our countrymen in America don’t know about Saipan, Tinian, Rota and the rest of the Commonwealth. We are the forgotten piece of America in the Pacific. In that way, regardless of the outcome of the visa waiver issue, and whatever your views for or against the visa waiver issue, federalization, immigration, by having a million fans of our page, we might be able to spark interest and tourism to our islands! See? It’s a win-win however you slice it! So tell everyone you know to become a fan of Saipan! Visit the www.savesaipan.org fan page, start a discussion, post videos, photos, etc. and create a welcoming, public place for people to meet, and for others to see! 2. Send an e-mail to your list of Facebook/MySpace/etc. friends encouraging them also to become fans of Saipan! Note: the site is accessible through savesaipan.com as well as savesaipan.org. REMEMBER: President Barack Obama himself used social networks to wage a presidential campaign unlike any other in history. Do you think there just might be some potential here? You decide. Also, submit your comments and concerns online at www.change.gov, www.whitehouse.gov, www.regulations.gov, and www. dhs.gov. The more the better.